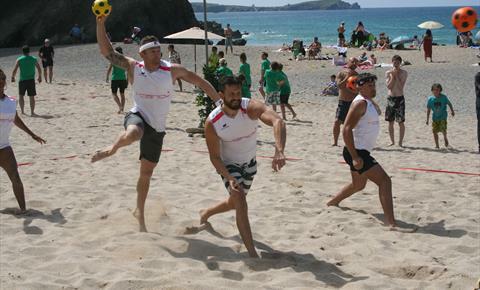 Come and enjoy some great beach fun at the fourth annual Lusty Glaze Beach Dodgeball tournament. Dodgeball is a fun, fast paced game which involves flinging a soft ball across a court at the opposition who may or may not be dressed as a boy scout/ hula girl/ super hero. Score a direct hit and they’re out. The winners are the first team either to eliminate the other team or the team with the most players on the court at the final whistle. 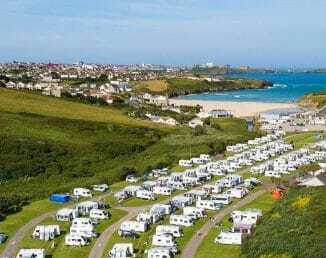 Book your 2019 holiday today! Please be aware that we are a families and couples only site. Keep in touch with the latest news and share your holiday snaps!